PORTLAND, Oregon—(April 2019)— The smart alternative to lead-acid–and Intelligent Transportation’s most innovative uninterruptible power supply–just outdid itself. ZincFive announces the launch of UPStealth 2, born out of the Company’s continuous quest to keep transportation systems connected 24/7, using green, higher performing battery solutions safe for people, technology and the planet. ZincFive delivers the leading backup power for public safety at intersections across the US and Canada. More than 150 transportation departments already count on the UPStealth. San Francisco Municipal Transportation Authority (SFMTA), Utah Department of Transportation (UDOT) and Oregon Department of Transportation (ODOT) are among the leading agencies that have now successfully tested the UPStealth 2. SFMTA, rapidly upgrading its intersections with the UPStealth, put the UPStealth 2 through its rigorous testing. “We especially liked the UPStealth 2's new plug and play, easy installation and the ability to receive alerts and replace batteries, all while the intersection is on three colors. That’s big for us,” says SFMTA Traffic Signal Supervisor, Nilesh Ram, who oversaw testing. “The nickel-zinc batteries were always able to fit inside existing cabinetry, but now they’re even more compact. And then there’s the broader environmental advantage of a non-toxic battery that lasts longer because it can handle temperature extremes." UDOT, known across North America for its “world class traffic signals program,” has deployed UPStealth systems at some of the state’s busiest intersections. The agency just completed a successful six month testing process of the UPStealth 2. Nickel-Zinc battery cells UL 2054 recognized for stationary and transport applications in the US and Canada. Simplified user interface and industry’s first navigation dial. Large event log allows 1,000 events and sine waveforms installed. Embedded webserver with local and remote browser based software interface. New message options include email. Remote updates, both firmware and software. Extended run time with six battery ports (additional two ports over UPStealth). 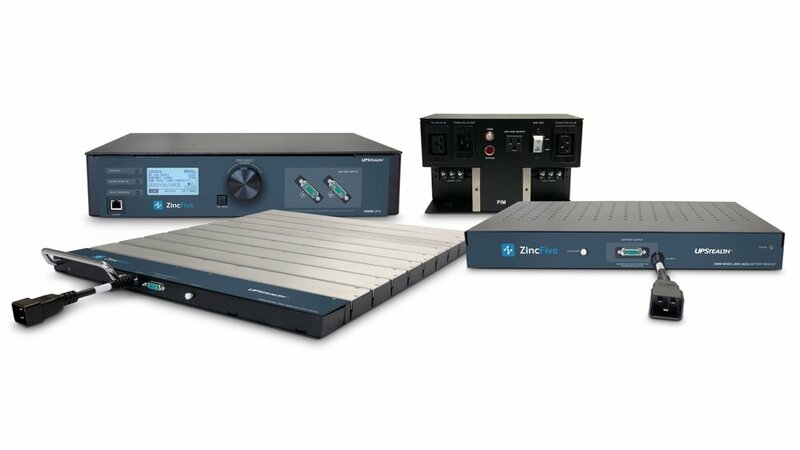 ZincFive is the world leader in innovation and delivery of nickel-zinc battery-based uninterruptible power supplies for mission critical applications in Data Centers and Intelligent Transportation and offer batteries for stationary, motive and start-stop applications. With 97 patents awarded, ZincFive leverages nickel-zinc chemistry within its solutions to provide high power density and performance simultaneous with superior safety and environmental advantages. ZincFive is a privately held Company based in Tualatin, Oregon. zincfive.com.